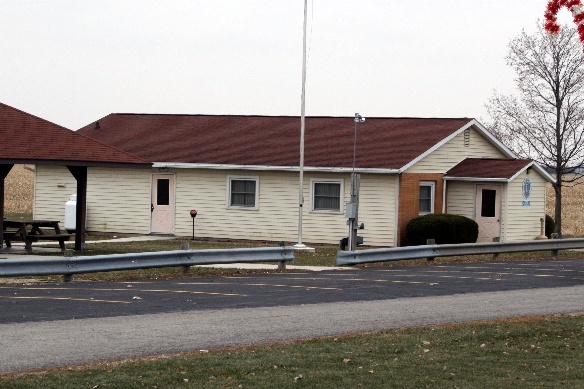 The Lions Club built and maintains the village community building. 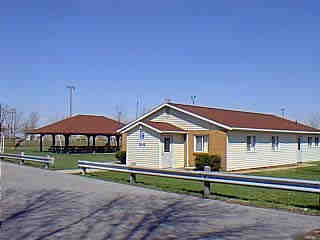 This air conditioned facility is where club meetings are held and is used for many other community events both public and private. The Lions Club maintains the village park and playground. Beyond the clubhouse you can see the park shelter and kids playground. Beyond that are the light towers of the baseball diamond.